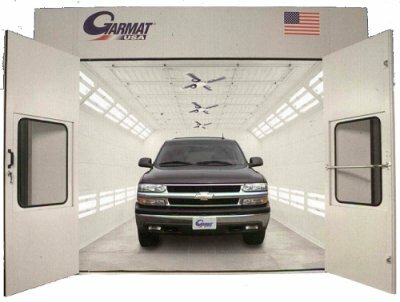 please call us with your truck booth needs! visit a Frontier installation ! "What is "air make-up and how does it work??" Air make-up technology is integrated into your building to balance the pressure and circulation. Indirect and direct-fired makeup air units manage a building's airload in such a fashion as to offset HVAC loss due to exhaust processes, open doors, loading docks, ventilation loss and stack emissions. Volume control allows facility managers to blend tempered air with fresh air, maintain air movement and equalize pressure throughout the facility. 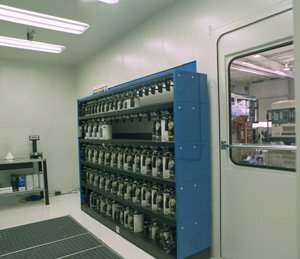 Makeup air units maintain a constant exchange of managed air, providing for a healthy environment and lower heating and A/C costs. 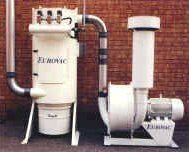 DUST COLLECTION -PHOTO GALLERY - EMAIL US!